Joyce Resin, MSW (specialty in community development) is a public engagement consultant. She has many years of community capacity-building and citizen engagement experience, and in addition to her role as a member of the Board of Directors, serves as Chair of the CFN Citizen Engagement Committee. Joyce has also lectured in Social Policy at Vancouver Community College. For 25 years, she worked in broadcasting at the Canadian Broadcasting Corporation in Toronto, Calgary and Vancouver, developing Canada’s first health and wellness program on national television, entitled, “Alive! The Picture of Health.” This program was shown in 20 countries around the world. She has also worked in print and radio communications. As Director of the Healthy Heart Society, Joyce used her marketing, communications and community development expertise to build an innovative suite of successful heart health promotion initiatives around British Columbia. Most recently, she served as Executive Director of ImpactBC, and led several initiatives related to patient engagement. 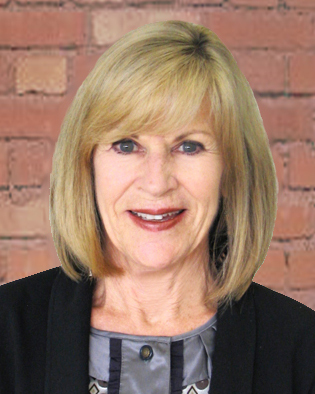 As Executive Director of ImpactBC, a quality improvement organization in healthcare, Joyce created and developed the Patient Voices Network (PVN), a unique provincial model to recruit, engage and support patients in all aspects of health care delivery in British Columbia. PVN is regarded as a model for engagement both provincially and in other jurisdictions in Canada and abroad and is currently a network of over 800 patients and citizens engaged throughout BC. Joyce has also developed an online tool for training researchers and research teams in how to successfully engage citizens in their projects. She has worked with CIHR on a consultancy basis and currently, as a lay reviewer for their grants. She is also a Fellow with IHI, the Institute of Healthcare Improvement, based in Boston and has travelled abroad in a consulting capacity with IHI.